Love is everywhere. Trees are blooming with love. 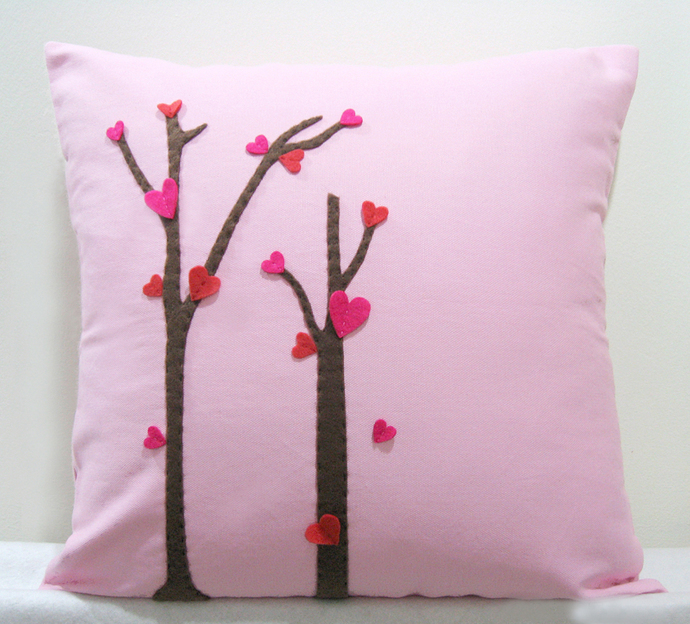 Surprise your loved ones with this special and pretty pillow, anytime. It is 16" X 16". 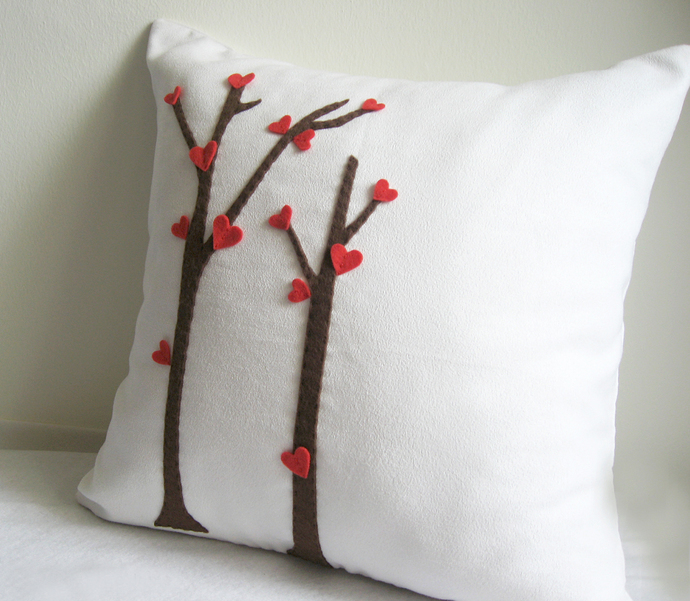 Fabric is comfy Suede in Pure White, with invisible zip at the bottom for insert removal. MADE-TO-ORDER. Pls allow 3--5 days for hand-sewing in conjunction of my other orders at the same time. 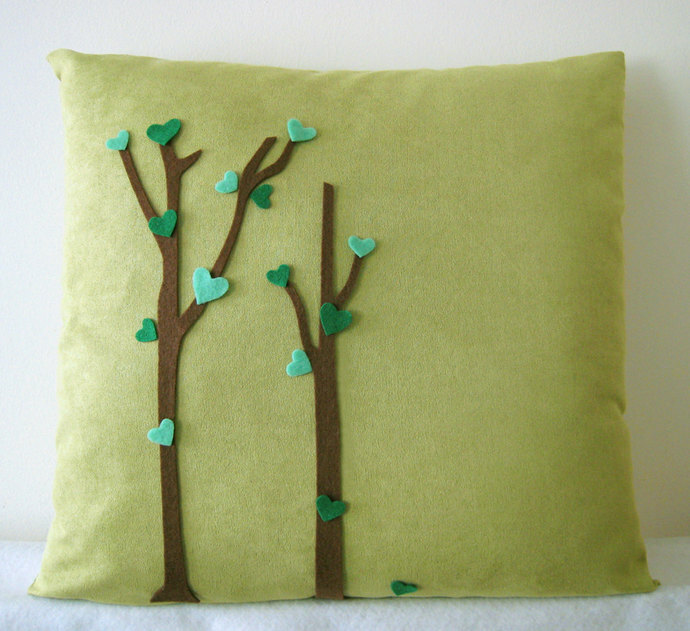 **Trees and Loves are hand-cut of recycled felt, hand-sewn stitch by stitch with love on the front panel only. 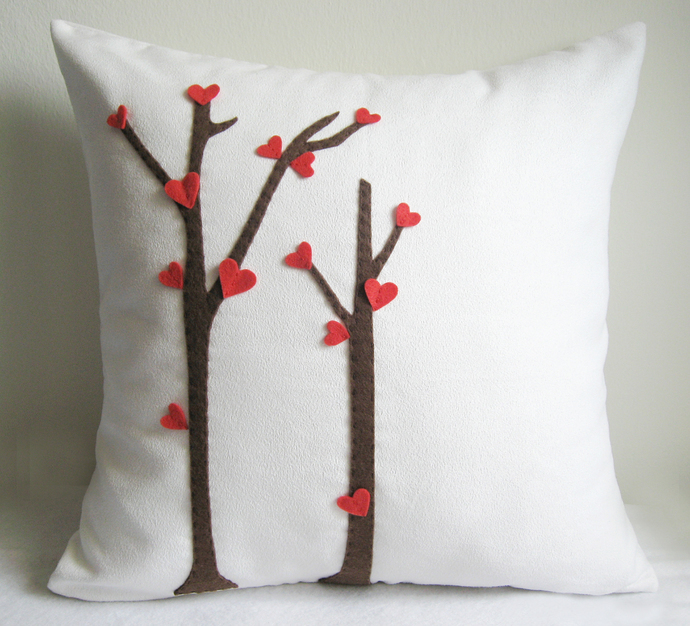 **Positions of 'Hearts' might be slightly different on every cushion. **Other base colors are available : ) Please refer to the Options. **Custom color request? Just contact me.